Who loves the Lou? We do! 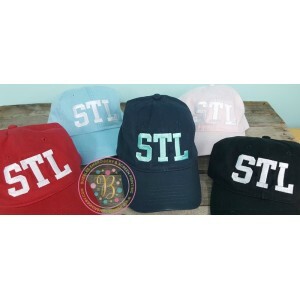 Show your love for your city with our custom St. Louis hats. 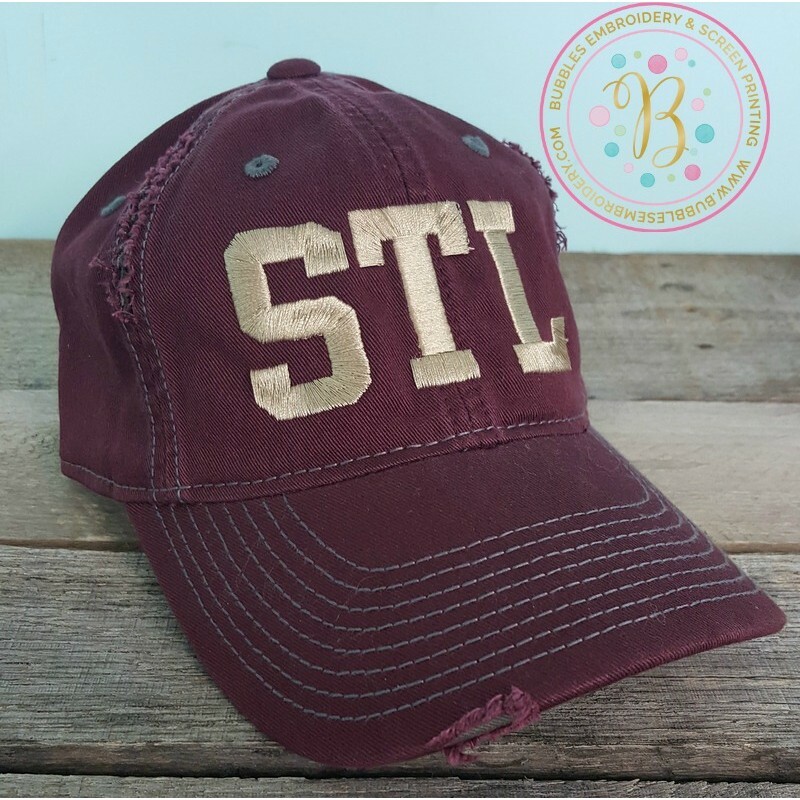 This lightly distressed burgundy hat is perfect for fall. Shown with gold thread. Please indicated if you'd like a color other than shown.